Paddy says: “Hi, it’s Paddy from The Daily Do podcast here. 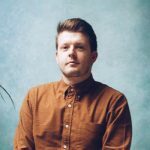 I’m a songwriter and producer working with Tom Grennan, Paloma Faith, Ella Eyre, Snakehips and many others. I was in a band before, releasing the album ‘Slowly & Gloriously’ under the name ‘Byrne’ getting 8 out of 10 in NME way back in 2002…. but all whilst suffering and struggling badly with anxiety, panic and the self medicating addiction that I used to cope until it took me over and made the problems much worse. “I spent 20 years trying and taking things to change the way I feel. Now I don’t, and I’ve changed the way I feel. I do a simple daily routine in the morning that keeps me free and easy, and whilst life will still get in the way, I don’t react with panic. My creativity is flowing faster and harder than ever, and where before I thought I had to live tough to be rock ‘n’ roll, now I let my words and music do the talking rather than the drinking and the fear. “I’ve found tools for helping to beat anxiety help to prevent it before it happens. That means it’s best to commit to doing these practices every day. I f I’d have known all those years ago how powerfully they work, I would have done them over and over again, happily! Start today for 3 mins and I promise you’ll feel great! Sit and only think of breathing and yes, now YOU can meditate! The Daily Do with Paddy Byrne podcast is free to subscribe to here www.thedailydo.co/thedailydo and is available on Apple Podcasts, iTunes, YouTube and Podbean. Tom Grennan’s debut album ‘Lighting Matches’ is out now. Read the NME review here.